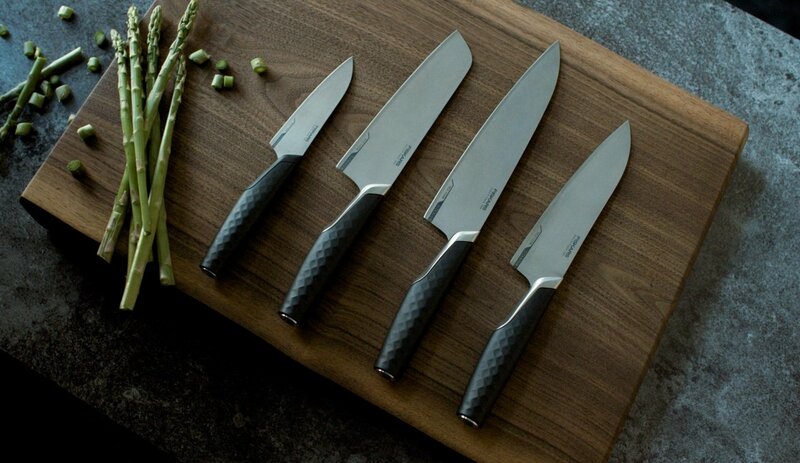 Fiskars introduces the latest innovation in cutting with its new premium range of Titanium knives. Immune to rust and with the highest strength-to-weight ratio of all metals, titanium has long been celebrated as one of the world’s most useful materials. However, even though pure titanium has been popular in everything from aerospace projects to medical devices, it has not retained sharpness well enough to be used in kitchen knives. Fiskars Titanium has been made to last. To ensure you'll be able to enjoy Titanium for a long time to come, we offer an extended 25-year warranty on the whole Titanium range. 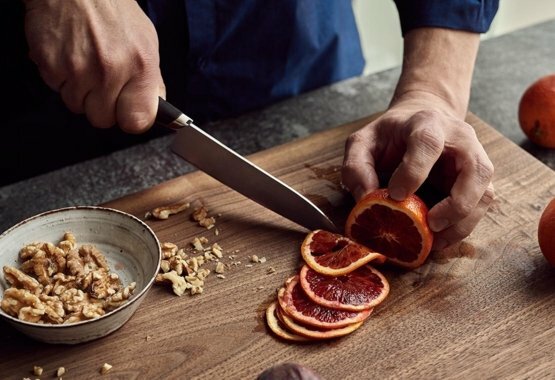 Fiskars Titanium knives offer extreme control and performance. Thanks to titanium’s innate properties, they are lightweight – as little as 107 grams – and easy to handle. What’s more, the blade will never rust. The ergonomically-designed handle provides the perfect grip, with a strategic 3D pattern for optimal comfort and safety. 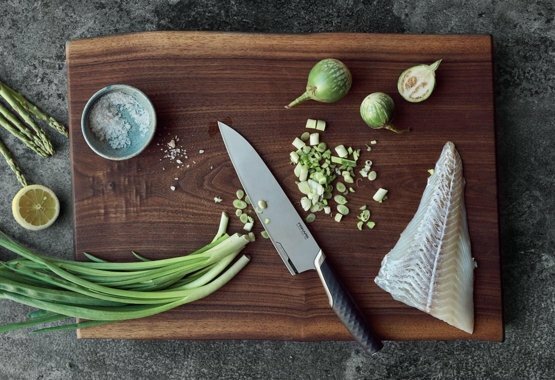 With the new Fiskars Titanium Santoku knife, Paring knife, and Cook’s knives (20 cm and 16 cm), cooks everywhere can now discover titanium’s unparalleled benefits for sharpness, lightness, and innovation. 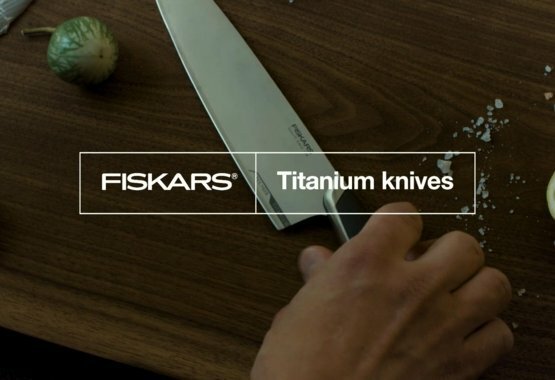 Fiskars Titanium knives have been designed using the revolutionary LZR-EDGE technology. In this innovative process, microscopic titanium carbide particles are lasered onto a titanium blade edge, increasing durability and longevity. The titanium blade will stay sharp much longer and have an overall longer life – in fact, testing has shown that these special titanium carbide particles keep blades sharp four times longer than standard knives. Using the CATRA method, which tests both initial sharpness and sharpness durability, every single one of the knives received the rating of ‘excellent’ – the highest rating possible.